OL49-69 ready to depart with Woltur train, Wolsztyn. Photo William Wright. Further to our report (BTWT, 1 July 2015) that representatives of all the parties (Wielkopolska Provincial Government, Wolsztyn District Council, Wolsztyn Town Council and PKP Cargo) had agreed in principle to proceed on the basis of a revised business plan, the council members of the various local authorities have been debating and voting on the proposals to set a new institute to run the shed. Each of the parties will be making a contribution to the setting up and operation of the shed (PKP Cargo – locomotives, rolling stock and facilities; others – start up capital and an ongoing financial contribution towards operating expenses) and participating in its strategic management. Wolsztyn District Council (Starostwo Wolsztyńskie) have already voted in favour of the proposals and yesterday a critical milestone was passed when the Council of the Wielkopolska Provincial Government (Sejmik Wielkopolski) also passed a vote in favour. The Wielkopolska councillors’ vote was critical because the business plan envisages the provincial government being the principal funding source for the restoration and running of daily steam services. The last council vote needed to secure the plan is that of the members of Wolsztyn Town Council, but with the town’s hospitality industry badly feeling the drop in tourism since the cessation of daily steam services, it is envisaged that Wolsztyn Mayor, Wojtek Lis, will have little difficulty in securing the support of the town’s councillors. The Town Council will consider the question during their meeting on August 3. If they vote in favour, the last piece of the jigsaw falls into place. There will be a formal signing ceremony sometime later, and December 1, 2016 is already pencilled in as the first day that the shed opens its doors under the auspices of its new owners. The elephant in the room remains Poland’s railway infrastructure manager, PKP PLK. For reason best known to itself, PKP PLK insists on treating steam trains as if they were carrying out of gauge loads or nuclear waste. 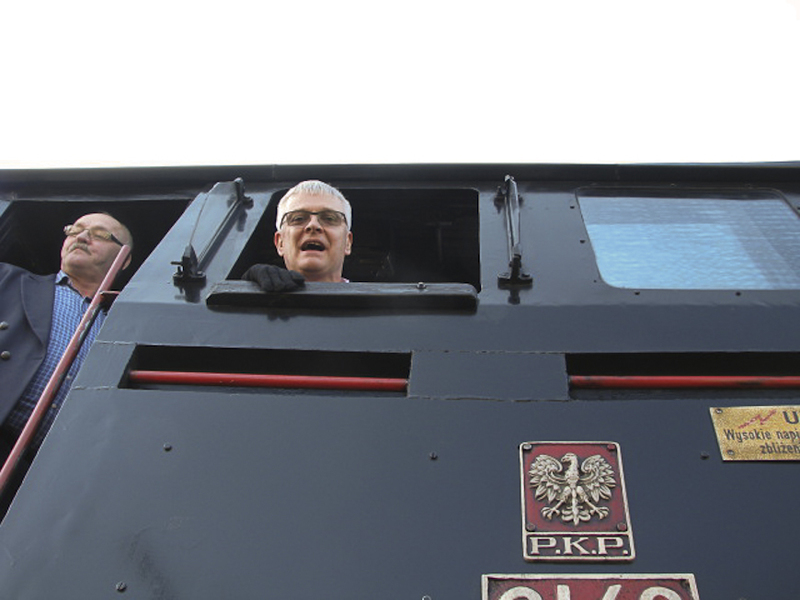 Whereas in other countries, steam trains are regarded as bringing useful publicity to the railway and their operators enjoy access to the railway network on the same (or even preferential) terms as those of other trains, in Poland PKP PLK demands a premium rate. 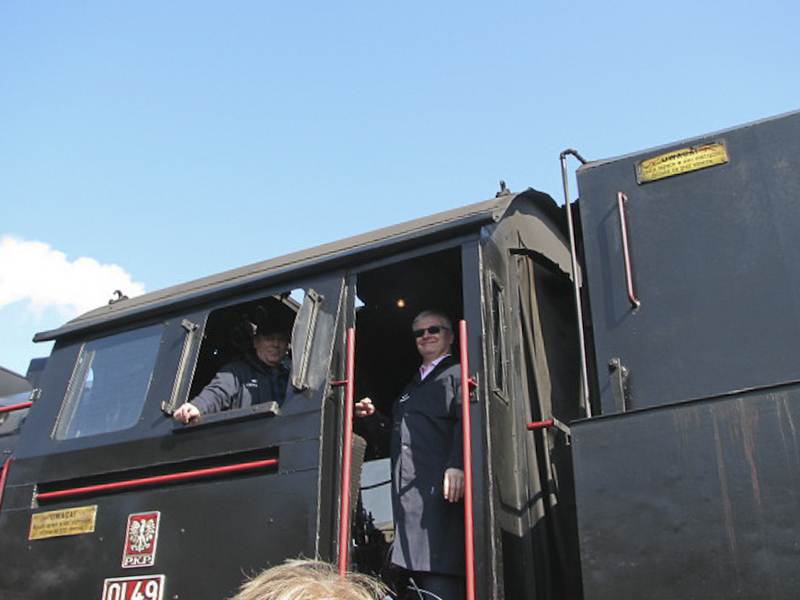 As a result it is almost impossible to fill a steam train in Poland unless somebody – usually a local authority – picks up some of the bill. With so many bodies pulling together to safeguard the future of Poland’s steam heritage at Wolsztyn would it not be appropriate for PKP PLK to also put a shoulder to the wheel? 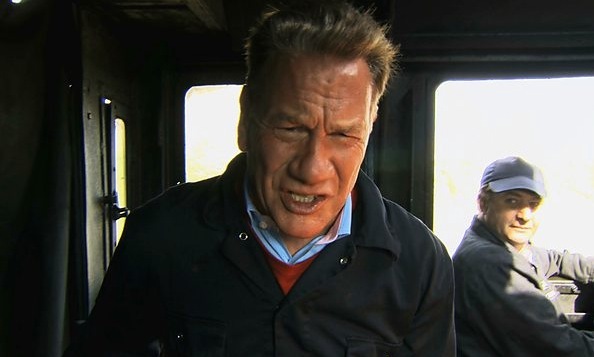 Michael Portillo rides the cab of Ol49-59. The BBC series “Great Continental Railway Journeys” is currently airing on UK television. The latest series (3) devoted an episode to Poland. Filmed in the spring of this year, the Michael Portillo and his Bradshaw guide start their journey in the restored heart of Warsaw, before travelling to Lodz, once a cotton capital to rival Manchester. His Poznan stop includes the obligatory visit to the goats in the Rynek (Market Square), and the Kaiser’s Castle (or Palace) a short walk from the railway station. The footage of the station is of the new concrete and glass structure (also known as “Poznan City Center” shopping centre), rather than the older building, or even the Dworzec Letni. Portillo finds time to visit Wolsztyn, referring to it being the place where scheduled from where steam services still run. His visit, on April 7, fell a few days after the suspension of the service, which as readers will know, has still not recommenced. His footplate ride out to Nowa Wies involved a special train, as there were no scheduled services. 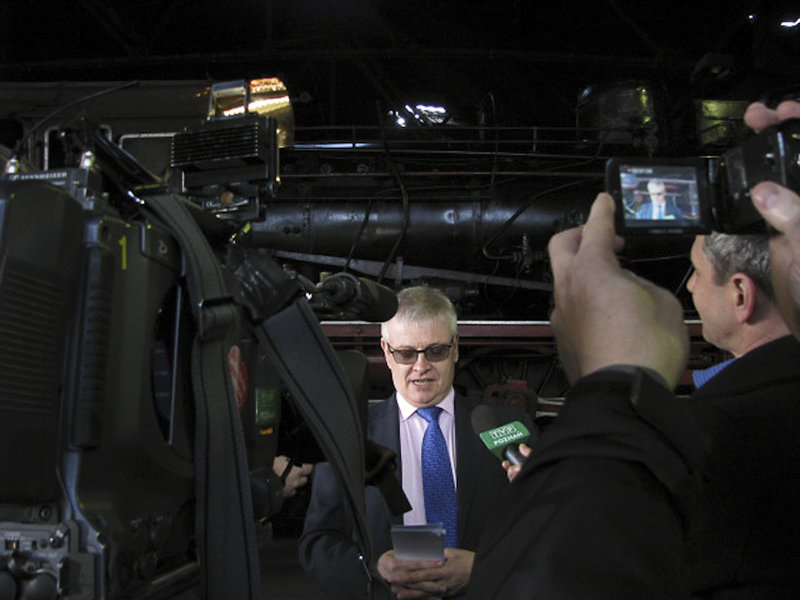 Viewers can draw their own conclusions about his firing (watch the gloves and style). The onward journey and visit to Wroclaw involved a visit around the Bombardier railway works, formerly known as Linke-Hoffman (before the war) and Pafawag (after the war), before travelling out of Wroclaw via the restored Wroclaw Głowny station. The shots of Krakow are the familiar Rynek and Mariacki church, and a trip around the Stalinist-era Nowa Huta, grafted onto the side of the old town by the communist regime. The full programme is available to UK residents for another 3 weeks on the BBC iPlayer here. Sadly viewers in Poland without a proxy server are blocked. The daily scheduled steam operation at Wolsztyn looks as though it will end next week. The Wielkopolska provincial government and PKP Cargo have failed to reach agreement on the cost of the service, and with no funding agreed from 31 March, the daily steam service to Leszno will not operate unless a compromise is agreed. Sources indicate that the cost per kilometre that PKP Cargo wish to charge have increased dramatically since the service was moved over to the Leszno line. In itself, this is hardly surprising. 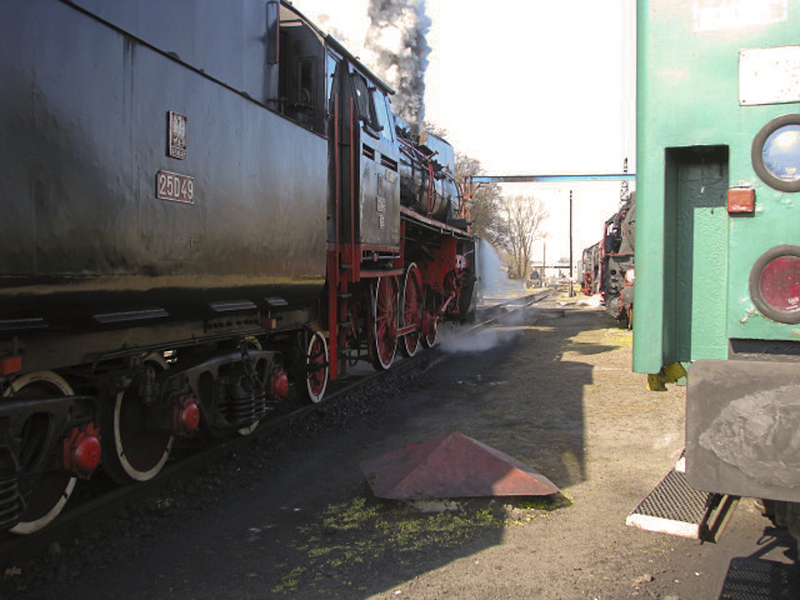 There are the fixed costs of operating the shed at Wolsztyn, and the overhaul of the locomotives, which are done on a time based system, not a miles operated, or days in steam system. Nevertheless, it is believed that the charges have increased disproportionately. TurKol’s charter traffic is covered by a separate contract and would remain unaffected, nevertheless, the viability of the depot must be questionable with the reduced mileage and income. Wolsztyn is unique in being the last place in Europe (if not the world) where standard gauge steam still hauls daily scheduled services. It entices tourists from around the world, all of whom come because it is unique. All spend money whilst visiting, and this is estimated to be in excess of one million zloty annually. If the services ends, scheduled standard gauge steam will have had its last stand in Europe. For those wishing to put pen to paper, and explaining why the service should be retained, the following addresses may be useful. We understand that a ‘last chance’ meeting between the parties is scheduled for Friday this week, so this could be the final chance to influence the outcome. Ol49-69 at Wolsztyn Station on a service train in August 2012. Photo BTWT. The idea always carried some risk – setting up a separate body to run Wolsztyn Shed – the new body to be owned by PKP Cargo and the local authorities. Neither have a strong reputation for marketing or a passion for steam, two of the criteria that we would be looking for in any organisation to run the steam depot through the new millenium. 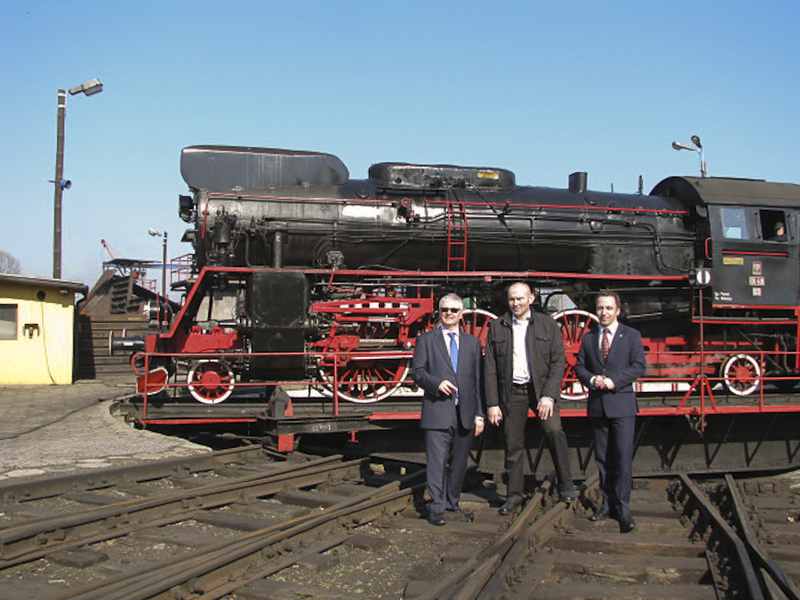 At least under the original scheme (see, BTWT 19.03.2010), the new company was going to be well capitalised – PKP’s Cargo’s steam locomotives and the shed was going to be valued at 5 million PLN and a similar amount in hard cash was going to be brought in by the Wielkopolska provincial government. Historic locomotives were going to be restored to running order and Wolsztyn was going to become a world class tourist attraction. But it was not to be, negotiations with PKP Cargo dragged on. How many Cargo officials were trying for a place on the board of the new company as a sinecure to ends their days in profitable retirement? Meanwhile local government elections were held and the main proponent of the project in the Wielkopolska Urzad Marszalkowski (Chief Executive’s office) had moved on to pastures new… . By September 2011, PKP Cargo’s main board had passed the necessary resolutions, but the U.M. was having distinctly cold feet. The scheme returned to the drawing board. Now it has returned in a new guise, but with the capitalisation very much reduced. Instead of 10 million PLN, the new company will start operations with a capital of 1 million. PKP’s contribution will be 500,000 PLN (in the form of a transfer of title of the steam locomotives) and the 3 local authorities (the Wielkopolska, provisional government, the Wolsztyn District Council and the Wolsztyn Town Council) will contribute 170,000 PLN each. Not only is the cash component ludicrously small, but presumably this time round the title to the property is being excluded from the deal and the new organisation will be hobbled from the start by having to pay a commercial rent for the land and buildings occupied by the shed. Slide showing income from hauling scheduled steam services ending in 2017. Slide UMWW. Thanks to some accounting magic running the shed under the new regime is going to be profitable! The ‘expensive’ scheduled steam services will be phased out by 2017 (see graph) and the new organisation will concentrate on running ‘profitable’ steam specials for tourists. Now Jerzy Kriger’s letter (see BTWT 23.01.2013) can be understood in a wider context. The loss of weekend services is just the beginning of the run down of steam-hauled passenger services leading to their complete elimination by 2017. Whoever wrote this plan clearly has no understanding that what makes Wolsztyn different is that it is the running depot for the world’s only main line regular steam-hauled passenger service that is NOT based on ‘steam specials’. 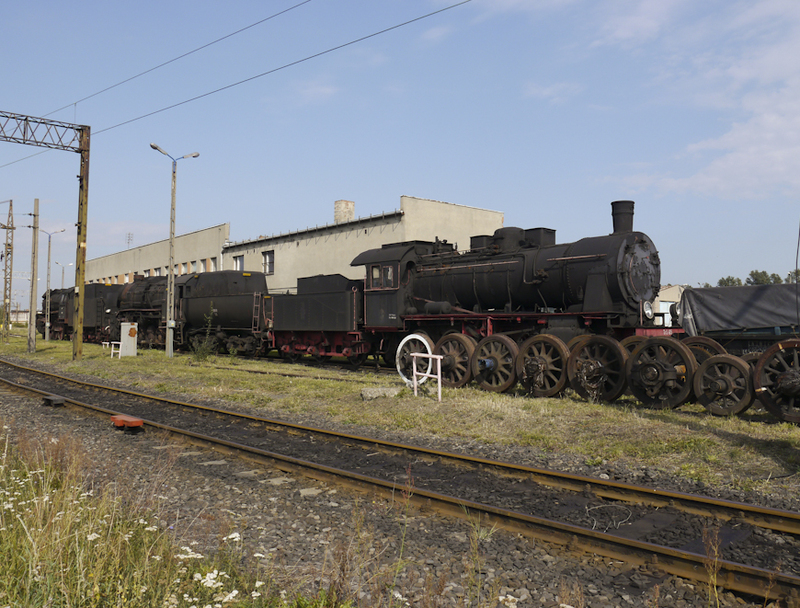 Without its scheduled steam passenger trains Wolsztyn become another historic steam depot and falls from its spot at the top – as the world’s only steam depot servicing locos running regular passenger trains – to ‘just another steam centre’. The rescue plan as drawn up by the UMWW (Wielkopolska province Chief Executive’s office) shows only three locomotives being maintained in running order: Pt47-65, Ol49-59 and Ol49-69 – hardly a world class attraction. What is more Poland is littered with remains of similar schemes that have failed. The steam sheds at Elk and Koscierzyna were going to make a profit running steam specials. 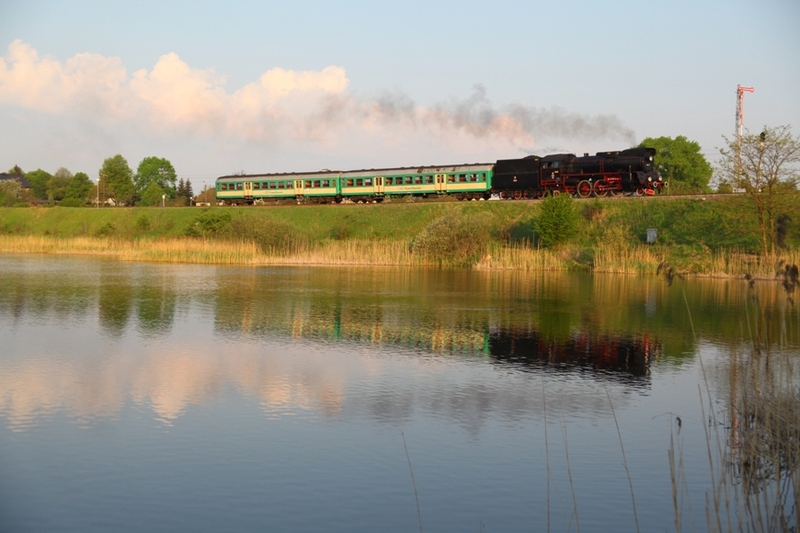 Chabowka’s once popular public steam specials now only run at the time of Parowozjazda – its annual steam gala. Without PKP PLK, Poland’s infrastructure manager, all such schemes are doomed to failure – PKP’s track access charges are amongst the highest in Europe and steam-hauled specials enjoy no special rates. Tr5-65 awaiting overhaul at Leszno. The Orenstein & Koppel built ex Prussian railways 2-8-0 is absolutely unique, but will it ever steam again? Photo BTWT. Ol49-59 undergoing servicing at Wolsztyn. Photo John Savery. News has reached us that the steam operation at Wolsztyn is set to suffer further cutbacks. The Wielkopolska government is making drastic budget cuts in 2013, believed to be in the region of 25%. One of the casualties will be the daily steam services from Wolsztyn, which are due to end with the December timetable change. Ten years ago, Wolsztyn would send out three engines a day. For the past few years, this has been reduced to one engine a day. The latest cutbacks will see the 7-days-a-week service reduced to just 5 days per week, with the withdrawal of weekend services. One would expect the impact on the town to be fairly major. Wolsztyn’s weekend steam tourists come not only from Poland but also from all over Europe and beyond. It is estimated that Wolsztyn Experience clients alone put as much as 500,000 zloty into the local economy each year, with an additional 500,000 zloty coming from other tourists who also visit the region. 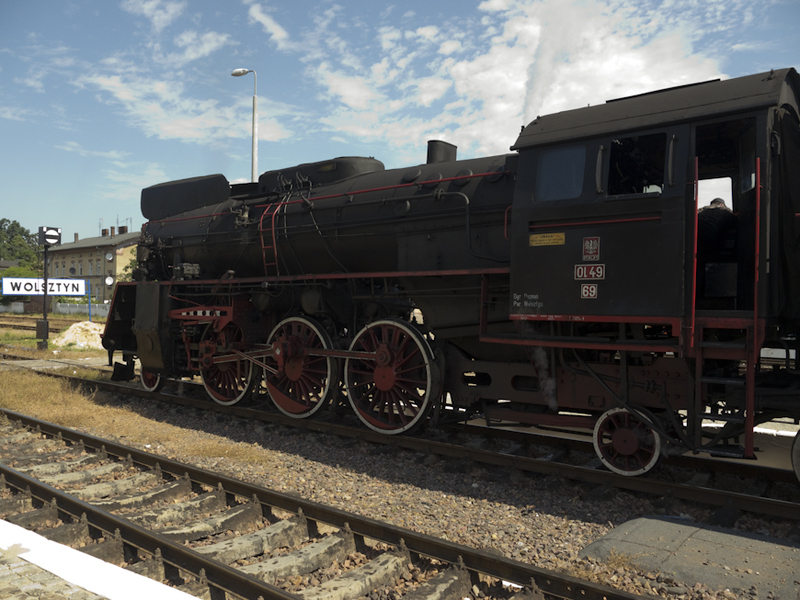 If the weekend steam services cease it is certain that the number of rail enthusiast tourists visiting Wolsztyn will fall dramatically, and with it, the amount of money that they inject into the local economy. This threat to the local economy and local tourism flies in the face of the efforts currently being made by the Polish National Tourist Office, who, this very week, are trying to entice visitors, who may have visited during the Euro 2012 championships, back to Poland. Behind the Water Tower readers are not known to give up without a fight. Questions need to be asked about the cost/benefit gained by moving to a 5 day-a-week service as opposed to maintaining the 7 day-a-week operation. Steam locomotives are serviced on a time interval based servicing regime, rather than on a days in steam servicing regime. Boilers become due for overhaul after a fixed time, regardless of whether they are in steam or not. Operating costs are therefore not proportional to usage. Savings on overhauls by a reduction in usage will be limited. What will PKP Cargo do with the locomotives at weekends? 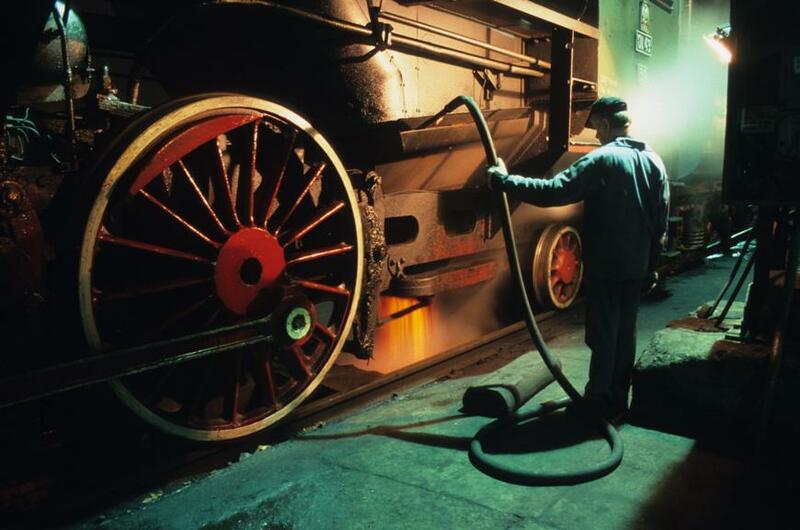 If they are laid up cold, this cycling of the boiler each week is likely to only add to repair bills for the locomotives due to the constant thermal cycling of the boilers causing additional wear. If the locomotives are left in steam over the weekend, then this will still require staff at the depot, limiting the cost savings that are made by not running the locomotives. Diesel railcars have been prone to failure during cold and snowy weather. Do Koleje Wielkopolskie intend to make improvements to the flimsy design of these railcars to make them more weather proof? Readers who feel they would like to make their views known to the relevant authorities may care to use the following addresses. A well written hard copy letter carries more weight than an email, however, given the tight timescales involved, it will not hurt to send an email copy as well, with a note that a ‘hard copy’ is in the post.